Member countries of the European Association of Hospital Pharmacists (EAHP) have issued a jointly agreed statement expressing apprehension about the impact of public spending austerity on services to patients in hospitals. Amongst the negative impacts of public spending austerity causing concern to hospital pharmacists are: increasing expectancy placed upon patients to meet the up-front costs of their medicines; the unintended impacts national cost-cutting measures are having in respect of medicines shortage; short-staffing in hospitals; diminished opportunities for healthcare professional training and development; and shrinking investment in areas of patient safety enhancement. EAHP’s members have called for a European Commission review into the potential for greater joint level cooperation between governments in terms of reducing the detrimental health impacts of austerity measures. Such a review could be conducted in the context of both the pan-European aspects of these problems, and the remit of the European Union to take action in the area of public health, as per article 168 of the Treaty on the Functioning of the European Union. EAHP is an association of national organisations representing hospital pharmacists at European and international levels. via Hospital pharmacists warn austerity measures are negatively impacting patient welfare. via Debt, Austerity, Devastation: It’s Europe’s Turn. The International Monetary Fund (IMF) says there is no evidence that Irish austerity policies are doing it harm. The fund has rejected complaints from its former chief of mission to Ireland Ashoka Mody who said the austerity policies were doing more harm than good. It has meanwhile emerged that Ireland will have to remain subject to regular budget inspections for almost two decades despite exiting the bailout this year. Mr. Mody had said Ireland should consider scaling back its austerity policies. However the IMF says Mr. Mody no longer works for the fund and his views do not represent those of the fund. The IMF has suggested it wants a full budget package of €3.1 billion in spending cuts and tax increases even if it is more than enough to meet Irish targets. The Finance Minister has meanwhile confirmed that Ireland will remain subject to Troika inspections for almost two decades. Michael Noonan says rules agreed by ministers last year will mean Ireland will have regular visits until it has repaid three-quarters of its EU bailout loans. Under our current timetable Ireland will not reach that target until 2032. The inspections will allow authorities in Brussels to propose possible changes to future Irish budgets long after the bailout programme ends this December. via Newstalk – Ireland to be subject to Troika inspections for almost 20 years. 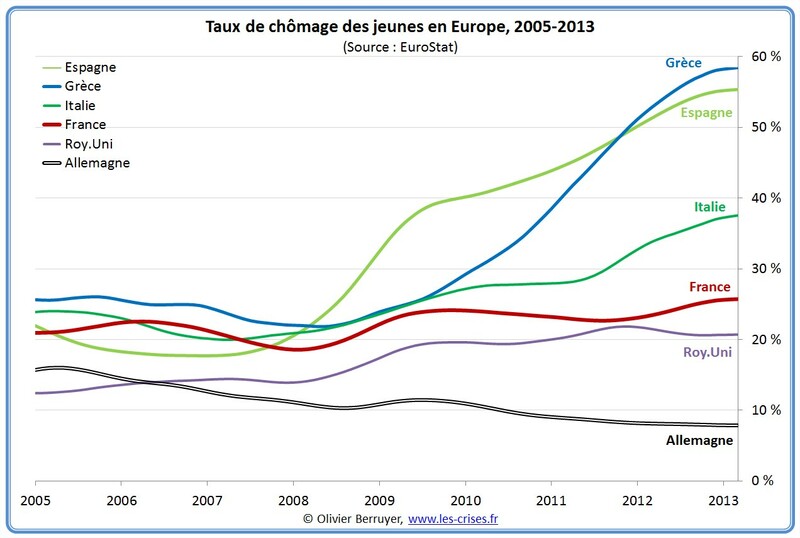 Europe is haunted by austerity. Public sectors across the European Union (EU) have been cut back and working class gains from the post-war period seriously undermined. In this article, I will assess the causes of the crisis, its implications for workers and discuss the politics of labour in response to the Eurozone crisis. Current problems go right back to the global financial crisis starting in 2007 with the run on the Northern Rock bank in the United Kingdom (UK) and reaching a first high point with the bankruptcy of Lehman Brothers in 2008. Two major consequences of the crisis can be identified. First, states indebted themselves significantly as a result of bailing out failing banks and propping up the financial system. Second, against the background of high levels of uncertainty financial markets froze. Banks and financial institutions ceased lending to each other as well as industrial companies. Countries too found it increasingly difficult to re-finance their national debts. The Eurozone crisis, also known as the sovereign debt crisis, commenced. Nevertheless, this analysis only scratches the surface of the causes of the crisis. The fundamental dynamics underlying the crisis have to be related to the uneven nature of the European political economy. On the one hand, Germany has experienced an export boom in recent years, with almost 60 per cent of its exports going to other European countries (Trading Economics, 10 May 2013). Germany’s trade surplus is even more heavily focused on Europe. 60 per cent are with other Euro countries and about 85 per cent are with all EU members together (de Nardis, 2 December 2010). However, such a growth strategy cannot be adopted by everybody. Some countries also have to absorb these exports, and this is what many of the peripheral countries which are now in trouble, such as Greece, Portugal, Spain and Ireland, have done. They, in turn, cannot compete in the free trade Internal Market of the EU due to lower productivity rates. Germany’s export boom has resulted in super profits, which then require new opportunities for profitable investment. State bonds of peripheral countries as well as construction markets in Ireland and Spain seemed to provide safe investment opportunities. In turn, these investments led to yet more exports from Germany to these countries and yet further super profits in search of investment opportunities. It is often argued in the media that citizens of richer countries would now have to pay for citizens of indebted countries. Cultural arguments of apparently ‘lazy Greek’ workers as the cause of the crisis are put forward. Nevertheless, this is clearly not the case. Greek workers are amongst those who work the longest hours in Europe (BBC, 26 February 2012). In any case, it is not the Greek, Portuguese, Irish or Cypriot citizens and their health and education systems, which are being rescued. It is banks, who organised the lending of super profits to peripheral countries, which are exposed to private and national debt in these countries. For example, German and French banks are heavily exposed to Greek debt, British banks to Irish debt (The Guardian, 17 June 2011). Is the purpose of the bailout programmes to ensure the maintenance of essential public services in Europe’s periphery? Clearly not. On the contrary, the Troika consisting of the European Commission, European Central Bank and the International Monetary Fund (IMF) demands cuts in public finances precisely for services such as education and health care. Is the purpose to assist peripheral countries in re-gaining competitiveness? Again, this too is clearly not the objective. The bailout programmes do not include any industrial policy projects. In contrast to general assumptions, German workers have not benefitted from the current situation. German productivity increases have, to a significant extent, resulted from drastic downward pressure on wages and working related conditions. “Germany has been unrelenting in squeezing its own workers throughout this period. During the last two decades, the most powerful economy of the eurozone has produced the lowest increases in nominal labour costs, while its workers have systematically lost share of output. EMU has been an ordeal for German workers” (Lapavitsas et al, 2012: 4). The Agenda 2010 and here especially the so-called Hartz IV reform, implemented in the early 2000s, constitutes the largest cut in, and restructuring of, the German welfare system since the end of World War II. In other words, Germany was more successful than other Eurozone countries in cutting back labour costs. “The euro is a ‘beggar-thy-neighbour’ policy for Germany, on condition that it beggars its own workers first” (Lapavitsas et al, 2012: 30). A victorious outcome in the struggle against austerity ultimately depends on a change in the balance of power in society. The establishment of welfare states and fairer societies were based on the capacity of labour to balance the class power of capital (Wahl 2011). Overcoming austerity will, therefore, require a strengthening of labour vis-à-vis capital. As Lapavitsas notes, “a radical left strategy should offer a resolution of the crisis that alters the balance of social forces in favour of labour and pushes Europe in a socialist direction” (Lapavitsas 2011: 294). Hence, in the medium-term, it will be essential to intervene more directly in the financial sector. As part of bailouts, many private banks have been nationalised, as for example the Royal Bank of Scotland in the UK. However, they have been allowed to continue operating as if they were private banks. Little state direction has been imposed. It will be important to move beyond nationalisation towards the socialisation of banks to ensure that banks actually operate according to the needs of society. Such a step would contribute directly to changing the balance of power in society in favour of labour. In the long run, however, even the change in power balance between capital and labour will not be enough. Capitalist exploitation is rooted in the way the social relations of production are set up around wage labour and the private ownership of the means of production. Exploitation, therefore, can only be overcome if the manner in which production is organised is being changed itself. via Austerity And Resistance: The Politics Of Labour In The Eurozone Crisis. The pharmaceutical industry has “mobilised” an army of patient groups to lobby against plans to force companies to publish secret documents on drugs trials. Drugs companies publish only a fraction of their results and keep much of the information to themselves, but regulators want to ban the practice. If companies published all of their clinical trials data, independent scientists could reanalyse their results and check companies’ claims about the safety and efficacy of drugs. Under proposals being thrashed out in Europe, drugs companies would be compelled to release all of their data, including results that show drugs do not work or cause dangerous side-effects. While some companies have agreed to share data more freely, the industry has broadly resisted the moves. The latest strategy shows how patient groups – many of which receive some or all of their funding from drugs companies – have been brought into the battle. The strategy was drawn up by two large trade groups, the Pharmaceutical Research and Manufacturers of America (PhRMA) and the European Federation of Pharmaceutical Industries and Associations (EFPIA), and outlined in a memo to senior industry figures this month, according to an email seen by the Guardian. The memo, from Richard Bergström, director general of EFPIA, went to directors and legal counsel at Roche, Merck, Pfizer, GSK, AstraZeneca, Eli Lilly, Novartis and many smaller companies. It was leaked by a drugs company employee. The email describes a four-pronged campaign that starts with “mobilising patient groups to express concern about the risk to public health by non-scientific re-use of data”. Translated, that means patient groups go into bat for the industry by raising fears that if full results from drug trials are published, the information might be misinterpreted and cause a health scare. The lobbying is targeted at Europe where the European Medicines Agency (EMA) wants to publish all of the clinical study reports that companies have filed, and where negotiations around the clinical trials directive could force drug companies to publish all clinical trial results in a public database. Tim Reed, of Health Action International, a group that has previously exposed the pharmaceutical industry’s financial links with patient groups, said: “It’s incredibly ironic that this is a transparency initiative and we’ve now got clear indications that the pharmaceutical industry is ready to use patient organisations to fight their corner. “It underlines the fact that patient groups who are in the pay of the pharmaceutical industry will go into battle for them. There’s a hidden agenda here. The patient groups will say they think it’s a great idea to keep clinical trials data secret. Why would they do that? They would do that because they are fronts for the pharmaceutical industry. “Patient groups get traction because they are assumed to represent the voice of the suffering. But industry uses them to say we’re not going to get innovative medicines if the industry is deterred from investing by having to be transparent about their clinical trials,” he added. A recent review of medical research estimated that only half of all clinical trials were published in full, and that positive results were twice as likely to be published than negative ones. A source in the European parliament, who is close to the negotiations over the clinical trials directive, said he had experienced intense lobbying from patient groups. “We’ve witnessed this sort of activity in recent months, and it’s a concern if the pharmaceutical industry is behind some of it. They are trying to weaken some of the transparency proposals and that’s clear from the amount of lobbying we’ve had,” he said. The patient groups focus on the concern that if companies release all of their clinical trials data, the information might be misconstrued, or intentionally cherry-picked, and spark damaging health scares around certain drugs or vaccines. “These aren’t completely unfounded concerns, but the risk already exists, and those things already happen. The answer is to have a responsible scientific community that can counteract the allegations and claims,” the source said. Two other strands of the campaign include discussions with scientific associations about the risks of data sharing, and work with other businesses that are concerned about the release of trade secrets and confidential data. The final strand calls, in the long term, for a network of academics across Europe that can be called on to correct false interpretations of the data. “That is deemed to be happening in any case,” the memo concedes. A Roche spokesperson said the company consulted patient groups to understand their concerns about clinical trials, but “to our knowledge Roche has not been involved in any EFPIA’s potential activity in mobilising patient groups to express concern about the risk to public health by non-scientific re-use of data”. Individuals who received the memo at several other companies, including AstraZeneca and Novartis, did not respond. Tracey Brown, director of the campaign group, Sense about Science, and co-founder of AllTrials, a campaign to get all clinical trials registered and all results reported, said: “We now have the prospect of really significant developments to end the secrecy and make clinical trial reporting a practical reality and, finally, some sound commitments from parts of industry. “In this context, the industry associations’ strategy to get others to raise further spurious problems is backward. It should embarrass anyone associated with it. I would say to the individual companies that they should publicly distance themselves from any association with EFPIA and PhRMA’s strategy now,” she said. The EFPIA told the Guardian it had been working with PhRMA on a “commitment to enhance sharing of clinical data” to researchers and the public, and intended to make an announcement this week. “Knowing that some people want all data to be made available to everyone, EFPIA is engaging with stakeholders to share concerns with harmful ‘re-use’ of data. We will engage not only with patient groups, but also with the scientific community,” it said. Matt Bennett, senior vice-president of PhRMA, said in a statement: “EMA’s proposed policies on clinical trial information raise numerous concerns for patients. We believe it is important to engage with all stakeholders in the clinical trial ecosystem, including the patients who volunteer to participate in clinical trials, about the issue. via Big pharma mobilising patients in battle over drugs trials data | Business | The Guardian. See all stories on this topic »Has Xi’s graft crackdown run out of steam? Cracked bank (Image: Cracked bank via Shutterstock)For four long years after the recession officially ended, conservative austerity policies have sabotaged America‘s economic recovery, condemning millions of Americans to unemployment and poverty.